The following is a personality profile of William S Burroughs based on his work. William S Burroughs is shrewd and somewhat inconsiderate. He is imaginative, he has a wild imagination. He is unstructured as well: he does not make a lot of time for organization in his daily life. 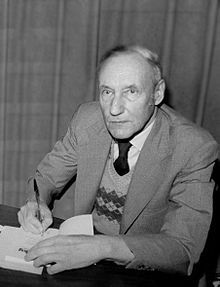 But, William S Burroughs is also unconcerned with art: he is less concerned with artistic or creative activities than most people who participated in our surveys. Long overdue in reading this, given my history as an Entheogenic Enthusiast, a child of the 50s and 60s, and an addictions counselor to boot!